I knit this hat at the request of a nephew. It turned out fairly well in spite of the fact that my tension when changing yarn is not perfect which is why I lined it completely so the changes don't show. 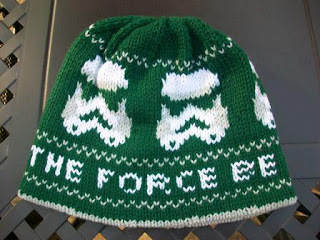 The pattern is Star Wars Storm Trooper Hat by Sheila Toy Stromberg. 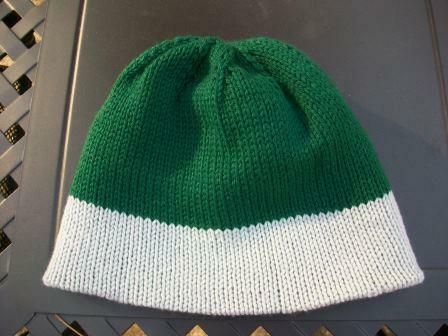 The yarns are Berroco Vintage (mistletoe) and HiKoo by skacel Simplicity (white and silver).